Setting aside the pervasive material bias of science and lifting the obscuring fog of religious sectarianism reveals a surprisingly clear unity of science and religion. The explanations of transcendent phenomena given by saints, sages, and near-death experiencers--miracles, immortality, heaven, God, and transcendent awareness — are fully congruent with scientific discoveries in the fields of relativity, quantum physics, medicine, M-theory, neuroscience, and quantum biology. Connects string theory's hidden brane worlds to religion's transcendent heavens. Reveals the scientific secret of life and immortality: quantum biology's startling discovery that the human body is continuously entangled. 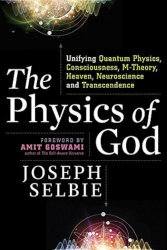 Compelling and concise, THE PHYSICS OF GOD will lead the reader to believe in the unity of science and religion and leave him eager to experience the personal transcendence that is the promise of both.